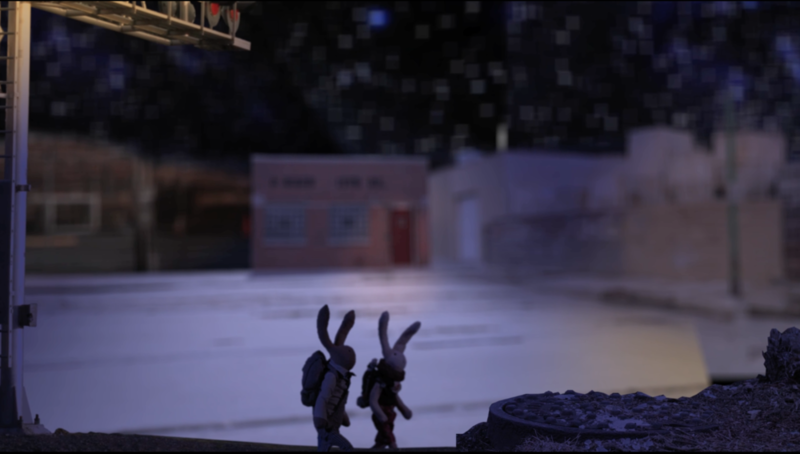 This short video plays at the borders of animation, performance, and the virtual. 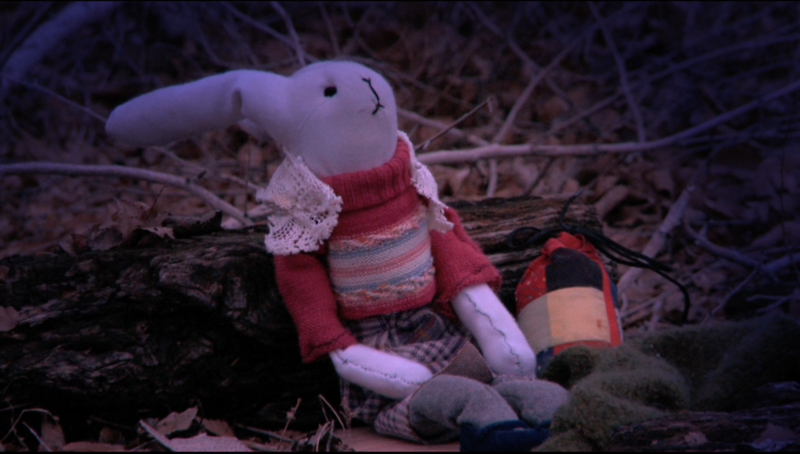 The video follows two of Jeremiah’s hand made rabbit dolls, as they walk looking for a place to sleep. While traveling they meet a cast of characters who reflect on the relationships and ideas that have shaped their "post-something” world. These characters rarely infer meaning on their experiences; instead, they suggest questions without providing us answers. The script consists of a whispered set of statements, quotations, and references to things from sources which range from Bell Hooks, Martin Luther King JR, Jack Kerouac and other thinkers, poets, and activists. Those noble ideals have been merged with conversations I have had in streets, classrooms and art galleries through the course of my research. Contact Jeremiah for information or screening copies.